Hello, my name is Lance Brunkow and I am president of Brunkow Builders, Inc. I'd like to thank you for visiting our website and invite you to look around. Be sure to check out our photo gallery and customer testimonials to get an idea of what we do here at Brunkow Builders, or read on and I'll tell you a little more about us. 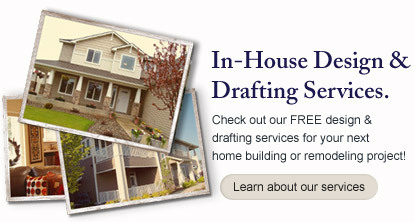 Brunkow Builders has a long history as a premier custom home builder in the Chippewa Valley / Eau Claire, WI area. My father, Carl Brunkow, started this business back in 1972 and soon developed a great reputation for quality construction and excellence in service. I grew up working for my father every summer - learning the business from the end of a saw or hammer. In 1990, I graduated from the University of Wisconsin-Stout, with a degree in Construction Management. After graduating from UW-Stout, I took a job working as a project engineer for a large commercial / industrial contractor in Randolph, New Jersey. After a three-year experience outside of residential construction, I decided to move back to Eau Claire and work alongside my father in the family business. After my father retired in 1998, I took over ownership of Brunkow Builders, Inc.
To ensure that Brunkow Builders stays up-to-date on all regulations, requirements, and building trends, we've made it a point to acquire not only the necessary certifications, but also establish the partnerships that keep us current and ahead of other builders in the area. We are a Trade Ally partner with the Wisconsin's Focus On Energy Program and the Home Performance with Energy Star. Brunkow Builders is also a Certified Lead Safe Renovator through the Environmental Protection Agency (EPA). 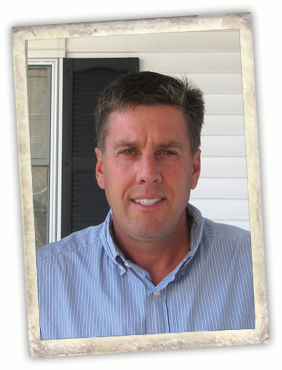 Lance Brunkow is the current president of the Chippewa Valley Home Builders Association.